Today’s podcast is going to directly focus on one pillar of this show…building a business you’re proud of. It’s a warning to consumers and a call to other entrepreneurs to step up and stop doing a deceptive practice that’s grown in popularity. Here we go. I’ve put a lot of work into preparing for this episode. I’ve looked through hundreds of comments on this topic, spoke to several friends in the industry I’m going to discuss, and pull content from the very services people use to run this scummy practice. So this episode will be a bit longer than most but I’m pretty sure it’ll be the most entertaining episode you’ve ever heard on this show. I won’t use anyone’s name who does this or the services they use. And to be clear, they can do whatever they want. I’m not their dad, boss, or moral authority. My job is to speak the truth as I see it and then let you and them decide what actions to take next. I’ll say in the beginning that I hope consumers demand more from internet entrepreneurs. This practice needs to get cleaned up, now. There is a solution and I’ll talk about it at the end of the episode. If you’ve listened to the show before you know that I’ve created several free guides for you to download the correspond to different topics I talk about on show. The guide that best relates to today’s topic is the “Is it legit?” online course guide” You can get that at TakePermission.com/FreeGuides or by finding your way to this episode to TakePermission.com/Show007. Customer: I need help learning how to use my new computer. Expert: I can help you with that. I have a class I’m offering tomorrow at 10 am CT. Would you like to attend? Customer: Yes. That’d be great. – Is the expert going to be there? – Does the customer expect the expert to be there? Deception is a purposeful action, not an accident. Deception isn’t a misunderstanding. It happens when one party either includes misinformation or omits information. 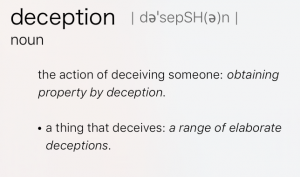 To be clear here, deception can happen by including or omitting information. The deception I’m going to talk about happens by omitting information. I’m calling out a deceptive practice because it needs to stop. Evergreen webinars that imply the person is present when they’re not is a trend that is becoming the norm in marketing. It’s dishonest. It’s unregulated. I can’t do anything to stop it. Not talking about it only perpetuates the problem. Yes. Even if it’s not explicitly described as live, I think that when you let people assume that it is (if it actually isn’t) seems a little dishonest. In my opinion, it seems inauthentic. If it’s live, let people know it’s live. If it’s not, then let them know it’s previously recorded. It will work against trust if you try to make people believe something live but it isn’t. I just don’t see what good could come from that. People will still get value out of something previously recorded (I.e every Ted talk ever recorded). Marketers know that they can pretend or imply being there and people will believe them because it makes them more money than saying it’s a recording. You sign up for a free webinar featuring (insert name of the person you trust here). The description implies that person is holding the webinar at a specific time. Except sometimes even when they start is a lie. This clip pisses me off the most. The wording of the webinar implies the person leading it is present (that’s deceptive by inclusion) or makes no mention of the person being present live. This is deception by omission. The presentation starts on time with the person you came to hear welcoming you and asking you to state where you’re listening from. Everything implies this is a live presentation. There is no implication or mention that you’re watching a recording. This is deceptive. Comments pop up in the chat area of during the presentation from what you think are other attendees. These chat comments are from past webinars and are strategically placed into the chat area to position trust in the presenter and the product. The questions asked are legitimate, but the timing and origin of the questions are not legitimate. These people are not present. These questions are cut and pasted to manipulate your emotions. This is deceptive. They encourage you to type in questions but explain that not all questions can be answered. Your comments and the comments of others attending live go unanswered because no one is there to answer them. This is deceptive. Specific offers are made to you as an attendee that expire in a specific period of time. Those offers do expire because they are tied to your email address. You could sign up with a different email address and get the same offer the next day, though. Deceptive? No. False scarcity? Yes. This is deception because the provider knows that the attendee thinks one thing is happening, that the presenter is present, and the comments are from fellow live attendees. Something else is happening. The presenter is not present. The comments are harvested and placed strategically. Politicians do this when they plant “voters” in the audience to ask specific questions. They have “listeners” call into a radio show and ask questions. It’s a setup. It’s dishonest. It sells more. A sale is a transfer of trust. You trust Honda, so you buy their automobiles. You trust Chick-Fil-A, so you buy their food. You trust this person you’re listening to, and the comments in the chat area, so you buy their product or service. The service or product is the same, but the process of getting people to buy is pure deception. There’s a difference between being live and not being live if there’s an expectation that the presenter is live. Sellers know that people think the seller is there in person. That’s why they edit and paste together their webinar to remove any mention of the date, time of day, or a current event. The pasting of comments from past attendees is the most egregious deception. It’s inexcusable. It’s manipulative. It’s dishonest. It’s lying. I plan on using evergreen webinars later this year. I believe there is a way to do them in an honest way. Doing recorded webinars the way I’m going to suggest will likely lower sales because the emotional manipulation won’t be present. The feeling of privilege that the expert is answering your question live won’t be there either. The emotional manipulation will go away, and sales will decrease. I can live with that. Here’s how recorded webinars could be done in an honest way. My personal thought is if the webinar is recorded, I’m not too concerned about that, but if you advertise live, at least be live to answer questions of the attendees. 1. Tell attendees there’s a presentation available to view at a specific time. That’s true. It’s not a live webinar, though. A live webinar is about the presenter being present, not a webinar recording playing. This is not a gray area. There’s live television, and there’s recorded television. There are live webinars and webinar recordings. The technology being used allows for the presentation to play at a specific time. That can continue. Lindsey Hartz – I’d say recorded live instead of live just to be above the board if I am not going to be present at beginning and end to answer live questions. There’s no place for planting comments that imply the person is present. Planting comments is emotionally manipulative. It is deceptive. Testimonials aren’t deceptive but inserting them and implying they’re coming from an another live attendee is deceptive. 3. Stop putting the responsibility on the consumer to figure out if you’re there or not. Tell them this is a recorded presentation at the beginning. Pay a staff member to attend the meeting and answer any questions attendees have (more on that in #4). 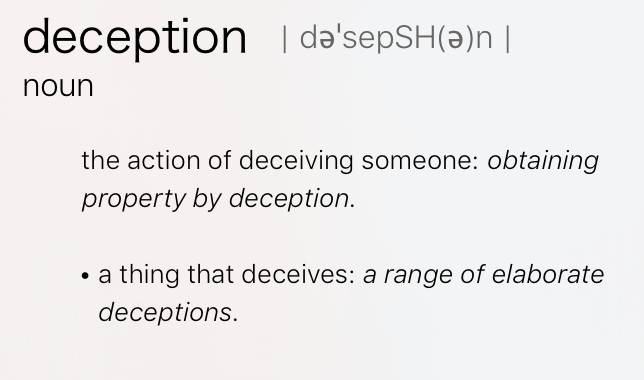 Not saying whether you’re there or not is deception by omission. Creators know that attendees think they’re there. I understand entrepreneurs want freedom, which means they don’t want to be presenting the same webinar 28 times a week. Implying or simply omitting whether or not you’re present is deception, pure and simple. 4. Have a staff member present to answer questions live. Pay a knowledgable employee to be present during the webinar to answer any questions that attendees have. This might cost $20-$50 per webinar. That’s a small price to pay for conducting an honest transaction instead of a deceptive one. Webinars work because the presenter builds trust with the attendees. That can happen with a recorded webinar with real comments. I believe those webinars will be less profitable. If profit is the only goal, then the same people running deceptive webinars will keep doing the same deceptive practices. It is likely less lucrative, but every dollar they make by manipulating customers is the price of their integrity. If you make $100,000 through a deceptive practice and $75,000 through honest means, then your integrity is worth $25,000. There’s an honest way to use recorded webinar technology. The services selling the technology encourage the deceitful practices I outlined above. It’s understandable that entrepreneurs do these things, but it’s also understandable that some people participate in price fixing and insider trading. Not all things that are permissible are beneficial. Just because you can doesn’t mean you should. It is up to the providers but as a consumer; I hope you’re aware of this practice and can find honest people to buy from. They’re out there…I think. I’ve created a guide for you to use when you’re trying to find out if the course you’re looking to buy is legit or not. It’s appropriately titled The “Is it legit?” On-line Course Checklist. Am I being too hard on these folks or too easy? Did you know this was happening? How do you justify your actions? Let’s talk about it. I like honest debate so let’s have some. Keep listening to learn how to send your comments to me. I hope to hear from you. This is a fascinating topic, and it’s not going away anytime soon. Leave a message at (608) 515-8253.